I can’t re-post the pattern but will link to the patterns I followed. The earflap hat with chin strap ties was crocheted in 0-3 month size following THIS pattern from Tara at her blog Easy Makes Me Happy. I purchased the ear pattern from Tara’s Etsy shop: Mamachee. For only $5.50 she is selling a PDF pattern that includes a collection of embellishments of different sizes and shapes for eyes, noses, ears, spikes, horns, antennae, teeth and a little bow. It is well worth the money! 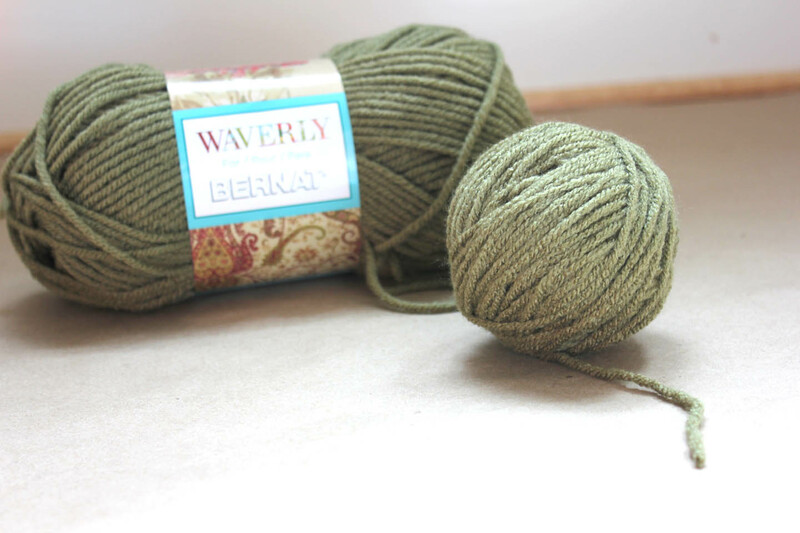 This is the first time I used Waverly yarn and loved how ultra soft it was. 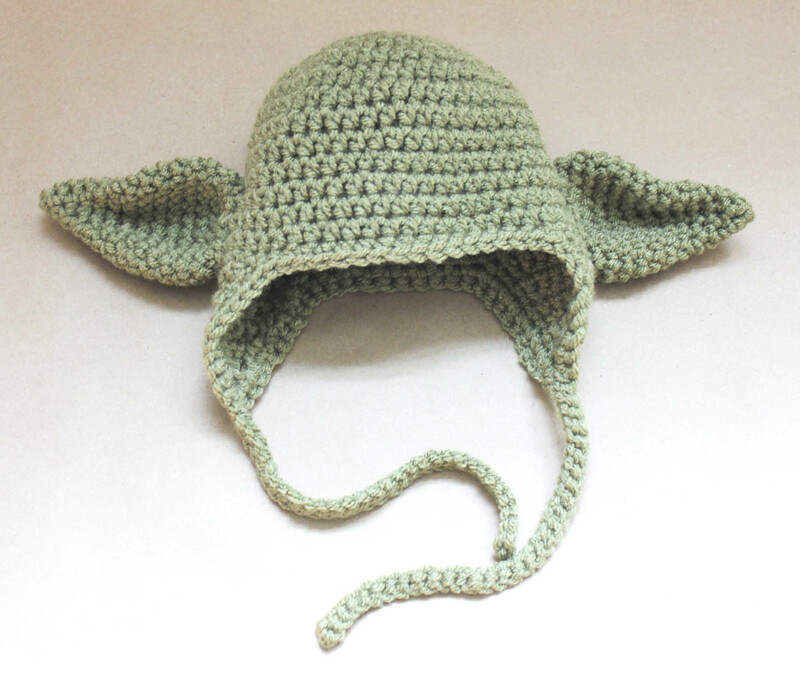 The color I used is called “willow” and it was absolutely perfect for a little Yoda. I just love this, it's perfect. Pinning to my Star Wars board!! Ha ha ha, that hat is the most adorable thing I've ever seen. A perfect yoga hat. Nice going. Thanks so much for sharing at our party this week. Ah this is great! This would be the perfect Christmas present for my fiance! This is adorable! My husband would have loved this for our son as an infant! Please feel free to stop by my new blog anytime. Seriously, too cute. 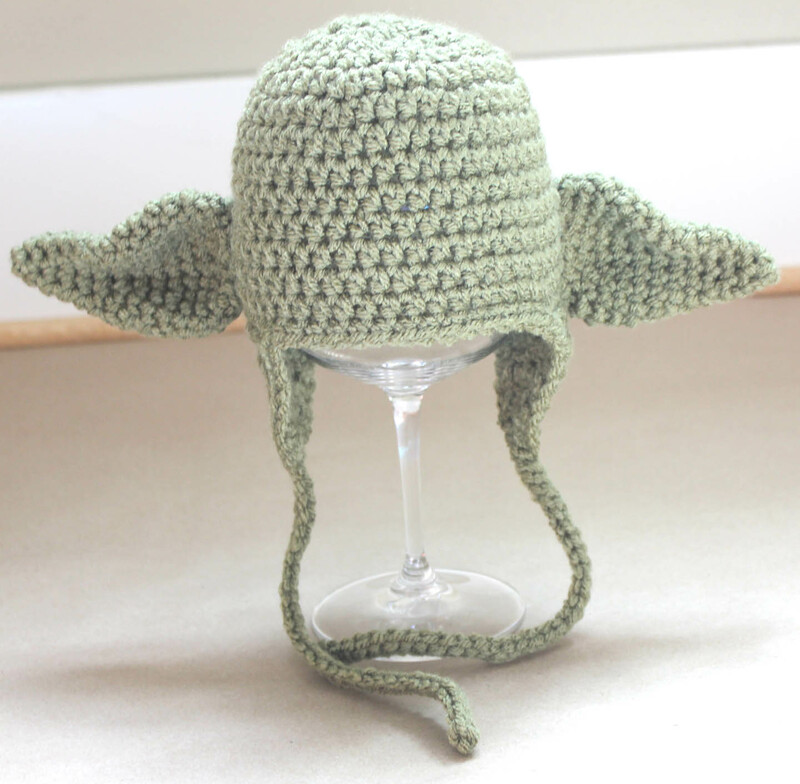 A perfect yoda hat, so darn cute. Thanks for sharing you creative inspiration at Sunday's Best! you did an amazing job! thanks so much for sharing on craft schooling Sunday! Too too cute! My boys are both Star Wars fans so now you've got me thinking… Thanks so much for sharing at Mom On Timeout! I know I'm a bit late on the uptake, but I just bought Tara's pattern, and was wondering if you used the large or small ears? 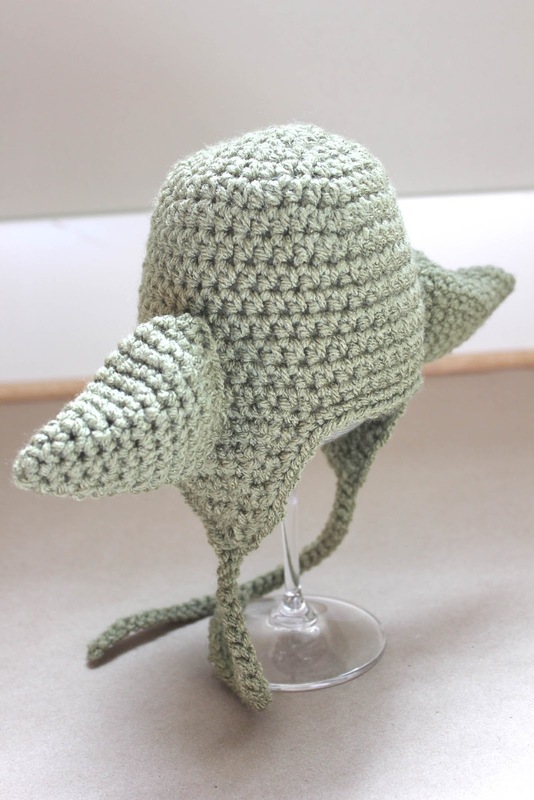 I checked out Mamachee on Etsy and there was no pattern for ears, horns etc…. LOVE IT. My 24 year old son wanted one of these a few weeks ago. Was not sure where to find the pattern. Now to enlarge it. Thank you. I tried to go to her etsy link to buy the pattern for the ears and I says it is no longer available. Any suggestions on where to find the ears? Série tia e os pais adoram o Ioda!!! Gostaria de presentear com a toca para tirarem fotos do bebê. Seu trabalho é lindo!!! Parabéns!!! I came across your website at Halloween when making a Mickey hat for a friend’s costume. Thank you so much for the free patterns! These are fantastic!! 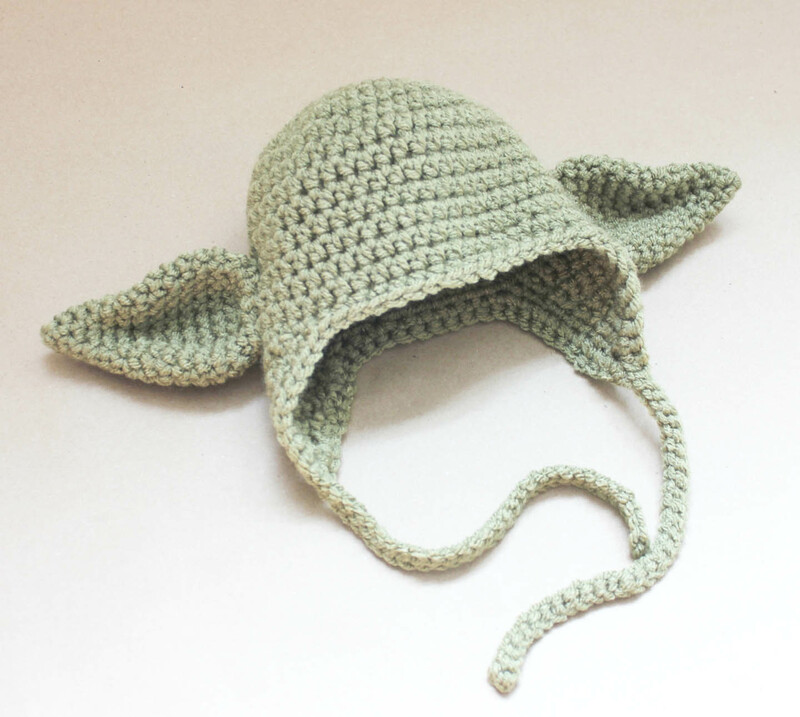 I went to the etsy shop to buy those patterns, but she doesn’t sell them anymore… i could really use a pattern to make some adult size Yoda ears before Christmas.